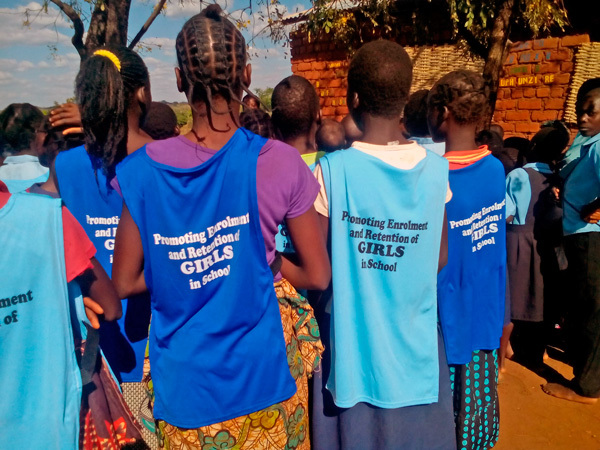 Located 80 km from Chipata town, in Samuel Zone is Mankhwangwe Community School which has a total number of 264 pupils – 112 Boys and 152 Girls. People’s Action Forum (PAF), with support from the Roger Federer Foundation donated education materials and sports equipment. Among the donated items were Mathematics and English books for pupils, soccer balls and netballs, and bibs for girls in the Girls Action Forum (GAF) club to motivate them to stay in school. Some PTA members came to witness the handover of the items. Among them were, two chief’s representatives of four villages, some parents, and pupils. 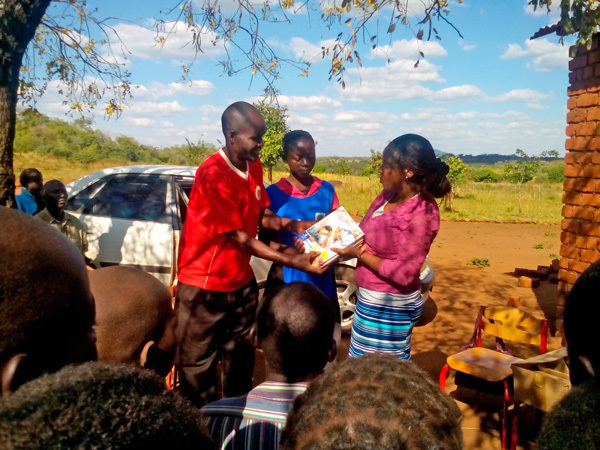 Carol Chisamo, (PAF Field Officer) presents some educational materials to the PTA chairperson and a pupil who received on behalf of the school. Our project staff addressed the people and encouraged them to ensure the work is done according to the plan and budget. PAF is implementing phase two of the Basic Education Project, wherewith we are working to promote girl enrollment and retention in 80 community schools by supporting increased community participation, facilitating the child-friendly approaches, and extra-curricular activities. 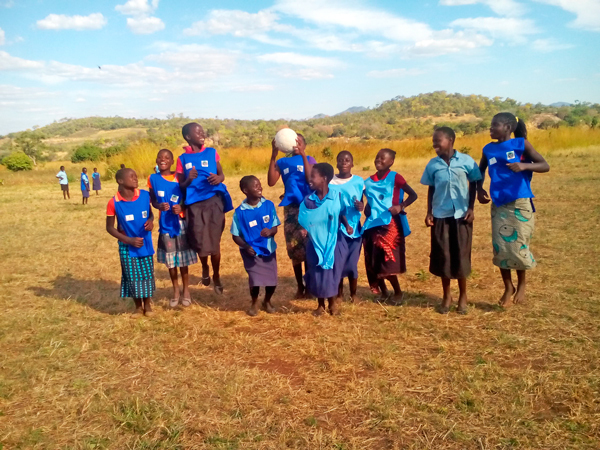 The GAF members expressed their gratitude and happiness by trying out the bibs, and playing soccer and netball within the school playgrounds. 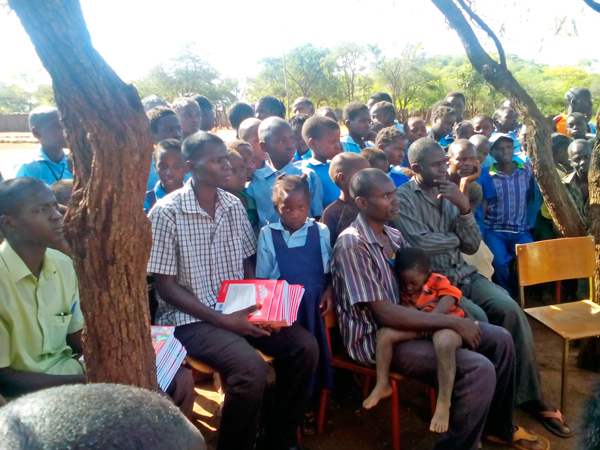 Event reported by Queen Masaka, Field Officer, Chipata.